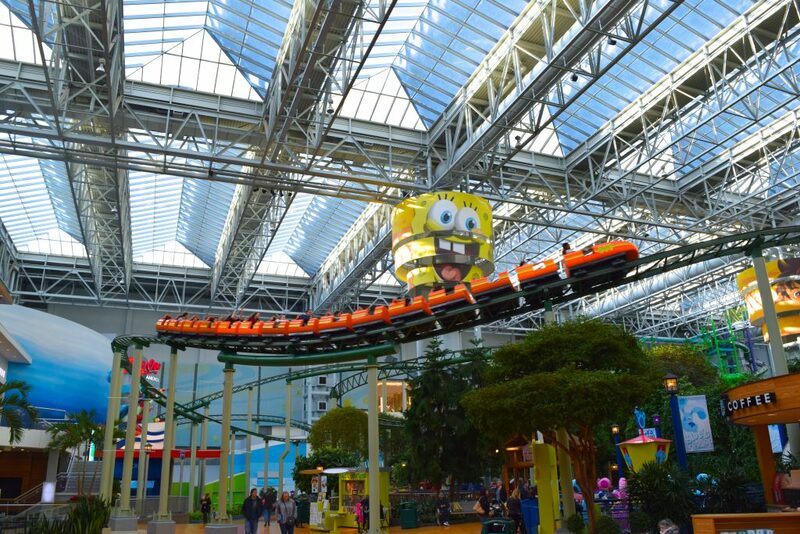 Nickelodeon Universe at the Mall of America – Trip Report! 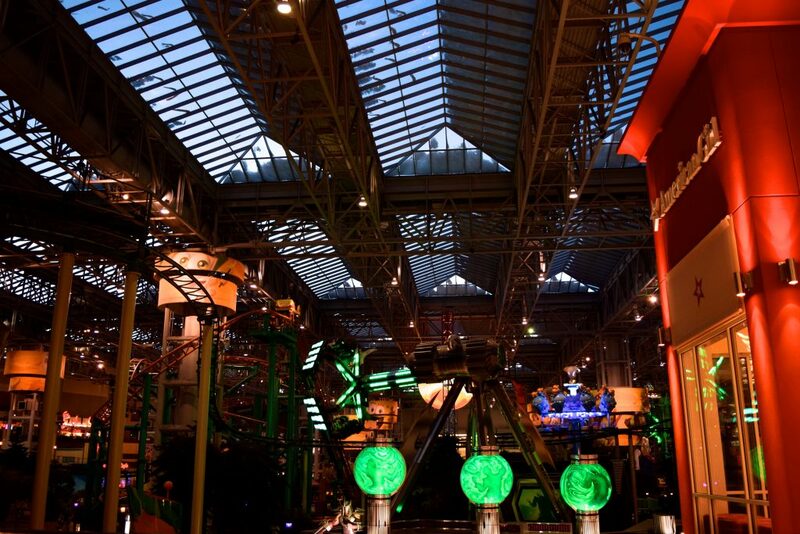 Sean: It has been a dream of me to actually visit the Mall of America, and everything fell into place to visit one of the world’s most famous indoor theme parks, which happens to call the largest mall in the US its home. 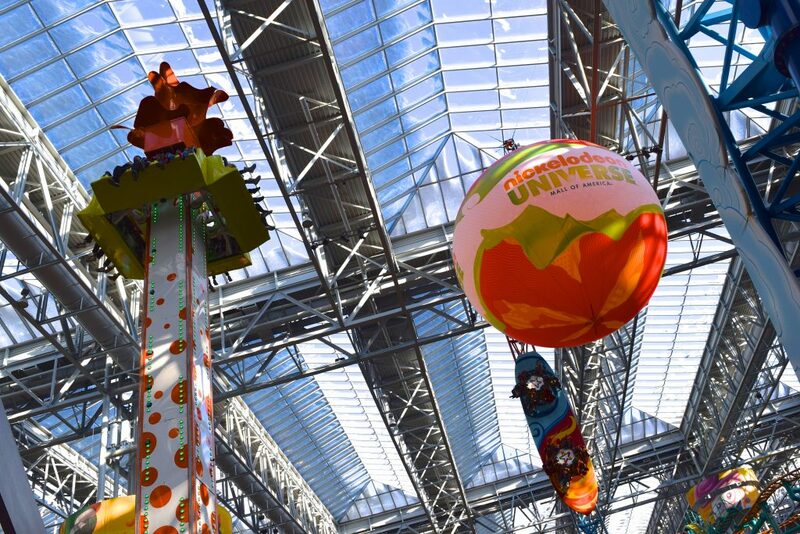 Nickelodeon Universe opened as Knott’s Camp Snoopy in 1992, and has since seen quite some changes to become the brightly colored indoor wonderland that it is today. Let’s take a look shall we? 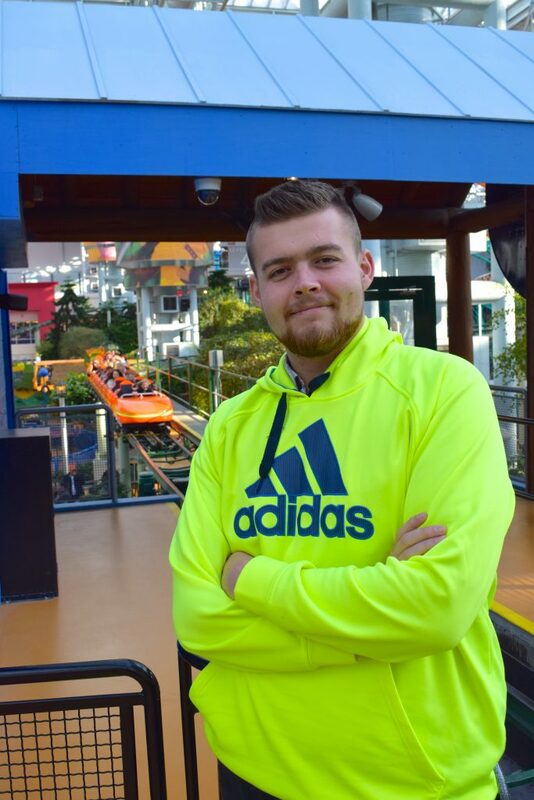 And then I here I was, finally at Nickelodeon Universe wearing a bright hoodie enjoying the climate control inside, as it was so incredibly cold outside. Time to explore the park! 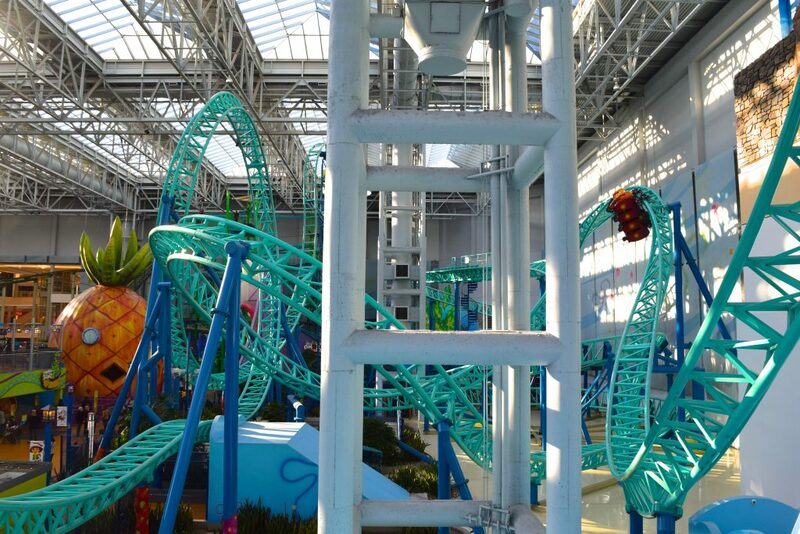 It’s almost a miracle that some of these rides in here fit! 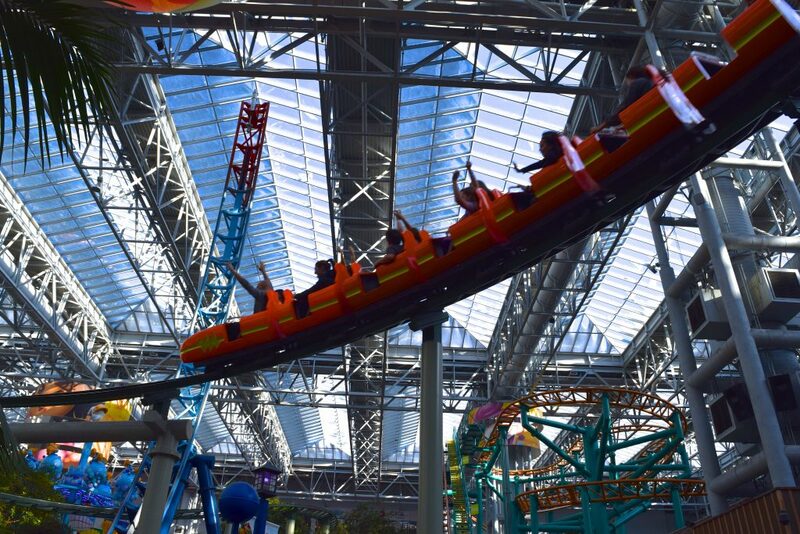 The park is jam-packed with a mix of classic and innovative rides that really allow you to kill a few hours at the park! 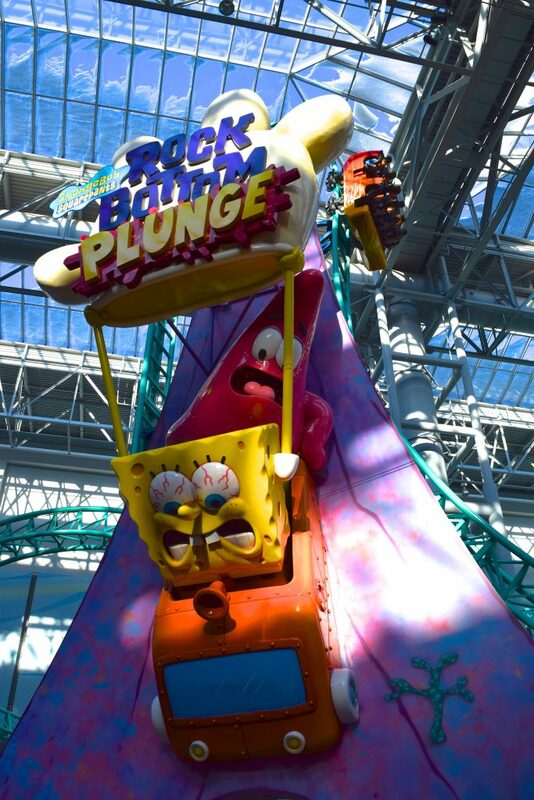 First up, the park’s best-known coaster: SpongbeBob SquarePants Rock Bottom Plunge. This 2008 Gerstlauer Eurofighter is known for packing a punch in a very small space, and the following pictures should make that more clear. 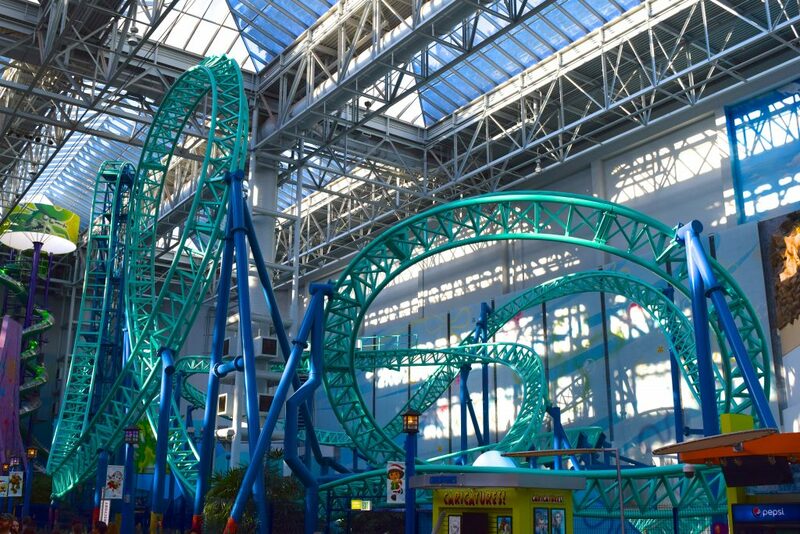 The ride has a beautiful first drop that nearly touches the roof, and is followed by a vertical loop and quick airtime hill. After the airtime hill a high-speed over banked horseshoe will remind you that Eurofighters can have a bit of a vibration to them, but you’ll quickly forget about that when rolling through the zero-G-roll/barrel roll element that follows. The second half of the ride is definitely not as exciting, but really allows riders to appreciate the amount of track they managed to fit in the tiny plot, making this Eurofighter better than some of the production models found around the world, this thing just does a lot more than anyone could’ve imagined in that space. That marks the first credit at the park, and a very visually pleasing bit of eye candy. Next up is Knott’s Berry Farm’s Jaguar!’s predecessor, Pepsi Orange Streak, which though it is a tad older, feels much smoother and has a far superior layout. 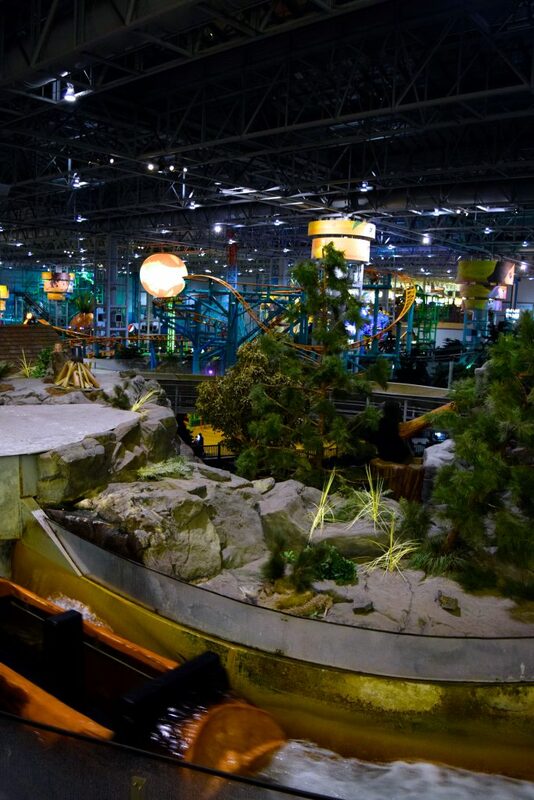 The ride gives a grand tour of the flora and fauna inside the park, as well as the well-balanced collection of rides and stores that border the park. One of those rides is the Jimmy Neutron Atomic Collider, a unique Zierer Hexen Tanz that really was a highlight attraction at the park for us. Classic rides, particularly European ones, get us going. 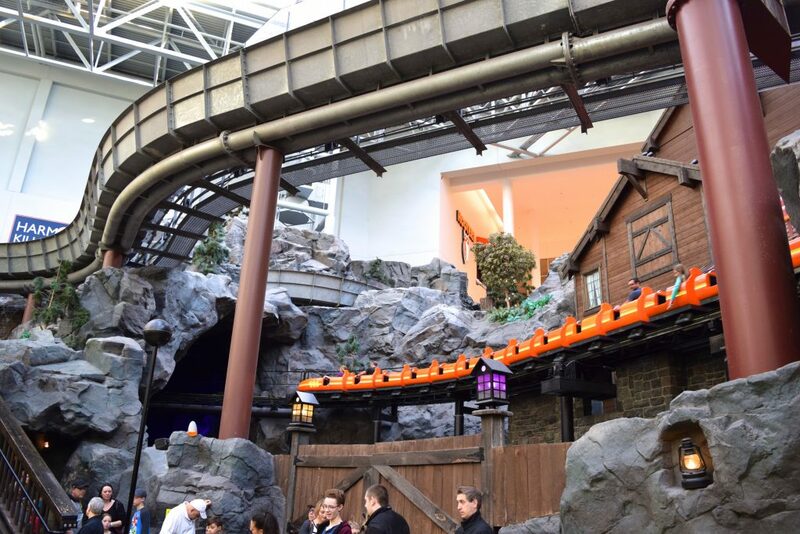 Part of what makes Orange Streak’s layout so awesome, is the fact that midway through the ride it features a dark-ride section where it rolls through the park’s infamous Log Chute attraction before heading up the second lift. 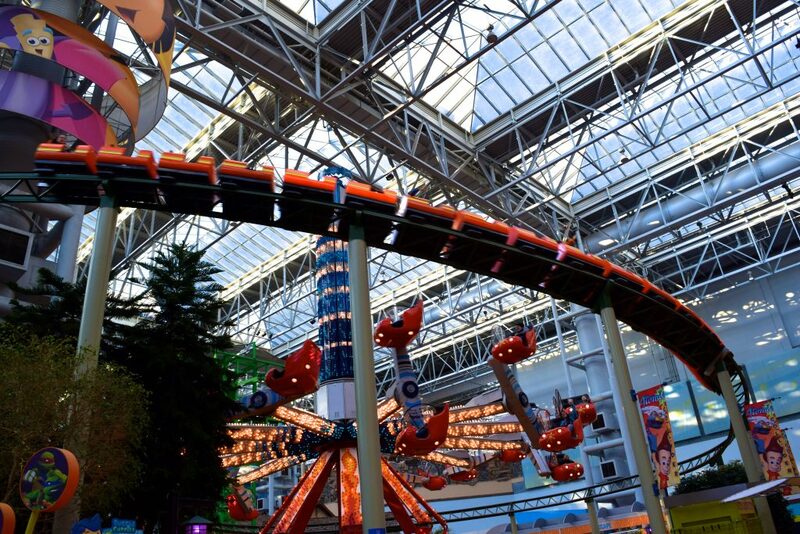 Speaking of the Log Chute, this is by far Alex’ favorite ride at the park and is the last true Knott’s Camp Snoopy attraction and really feels that way. It is not particularly as amazing as the original Timber Mountain Log Ride at Knott’s Berry Farm, but the corner of the park that the Log Chute takes up features the classic rock work and stunning looking log flume that really reminds you of this park’s fascinating past and connection to our beloved SoCal Knott’s. 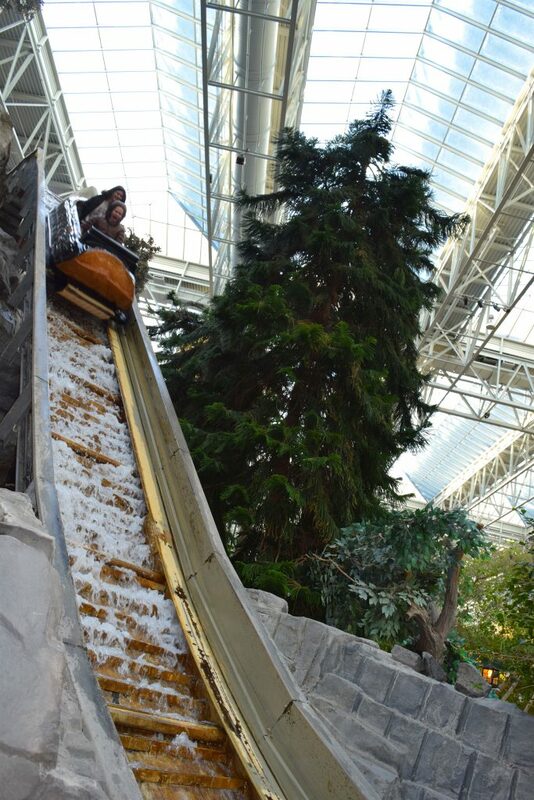 The flume is a Hopkins, which means that the logs look a bit odd, but the ride itself is impressively long and well-landscaped with lots of theming, really making it a premier attraction at the park. 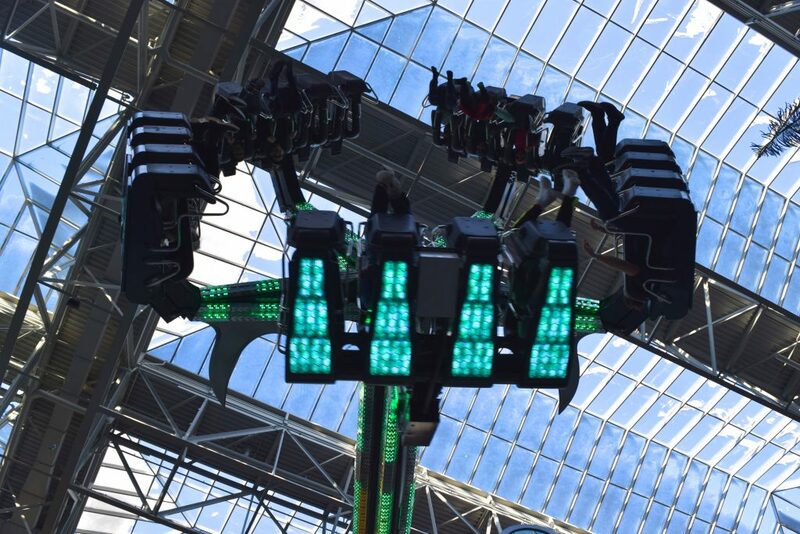 One of our favorite new flat rides is the Teenage Mutant Ninja Turtle ShellShock ride, which is a Gerstlauer SkyFlyer, that allows riders to invert themselves as the giant arm of individual flying vehicles narrowly passes the walls and ceiling. The theming for the park’s newer attractions really is particularly strong, as this ride’s queue, ride vehicle and control panel should indicate. 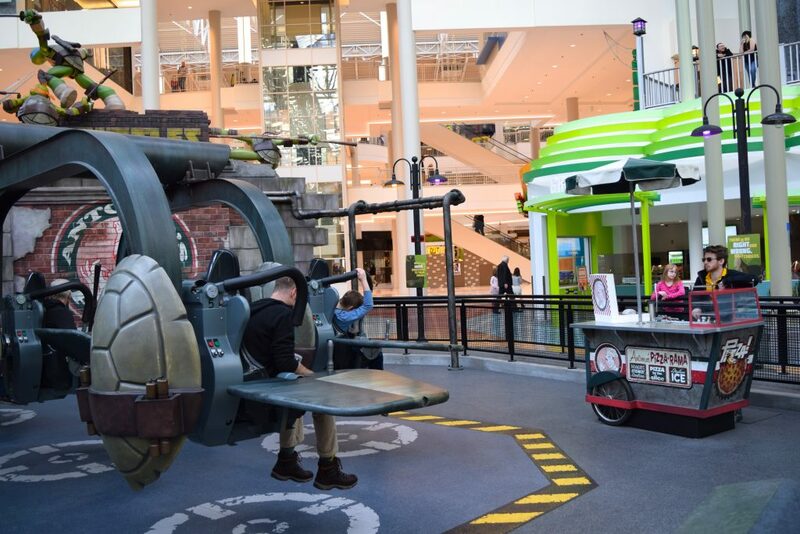 We rode ShellShock a few times, as it really is a neat attraction, here’s a look at the ride from the mall, demonstrating how incredibly close to the walls it gets! The park’s newest attraction is another Teenage Mutant Ninja Turtle attraction, which is a Chance Revolution with incredible theming, light package, audio, AND fog effects! 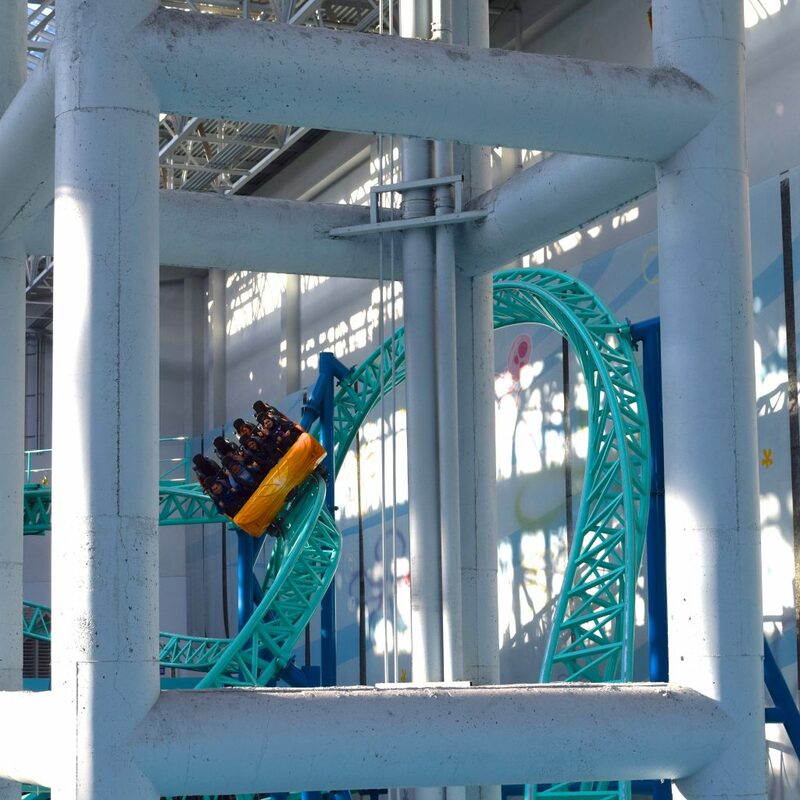 The ride’s name is another long one: Teenage Mutant Ninja Turtle: Shreddar’s Mutant Masher, and is located on the opposite end of the park from ShellShock. 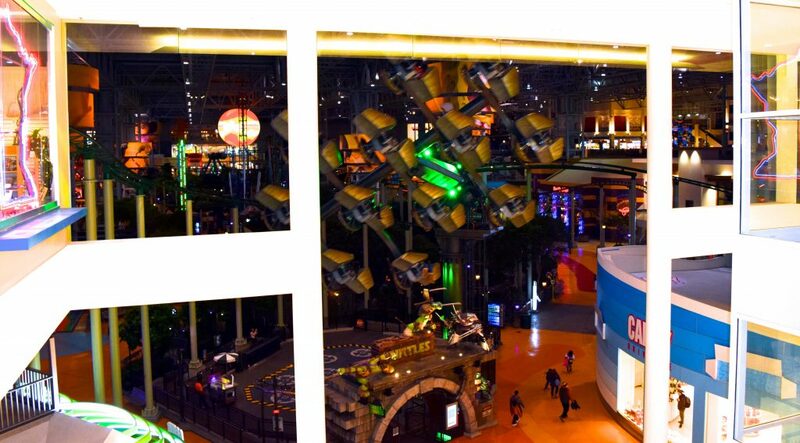 This ride is probably the park’s best looking ride at night, and the best looking Chance Revolution I have ever seen. Knott’s Camp Snoopy opened Timberland Twister in 2004, which was the first of heavily cloned Gerstlauer Spinning coasters designed for the park’s infrastructure. 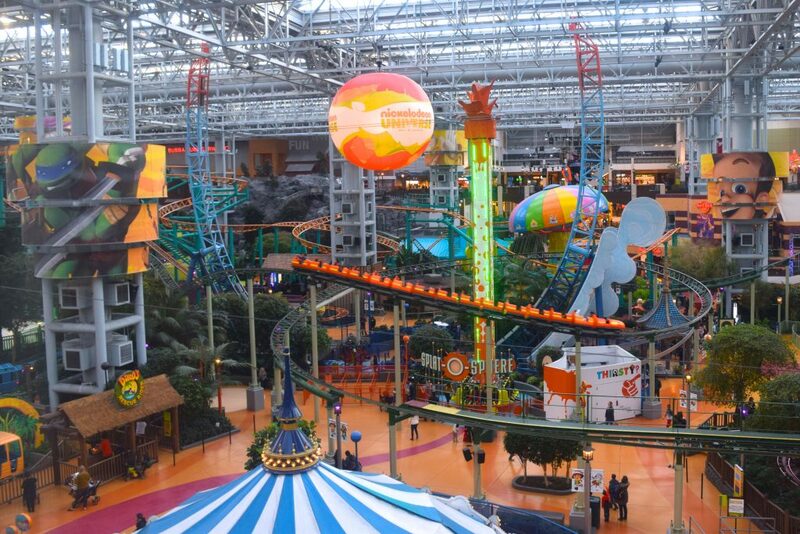 The ride has since been rethemed and renamed to be the Fairly Odd Coaster, and delivers a solid spinning coaster experience. 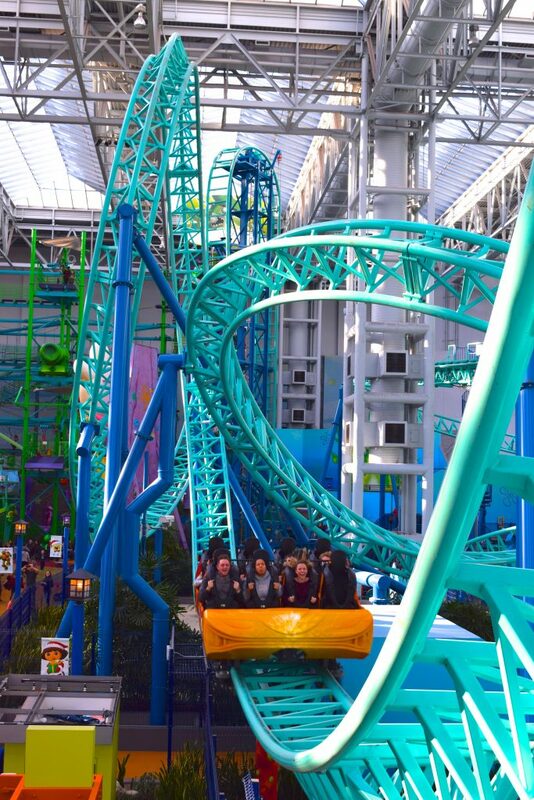 This layout makes a lot more sense for Nickelodeon Universe and riding it really made me appreciate the layout a lot more! Another ride that HARDLY fits inside the theme park is the Avatar Airbender. 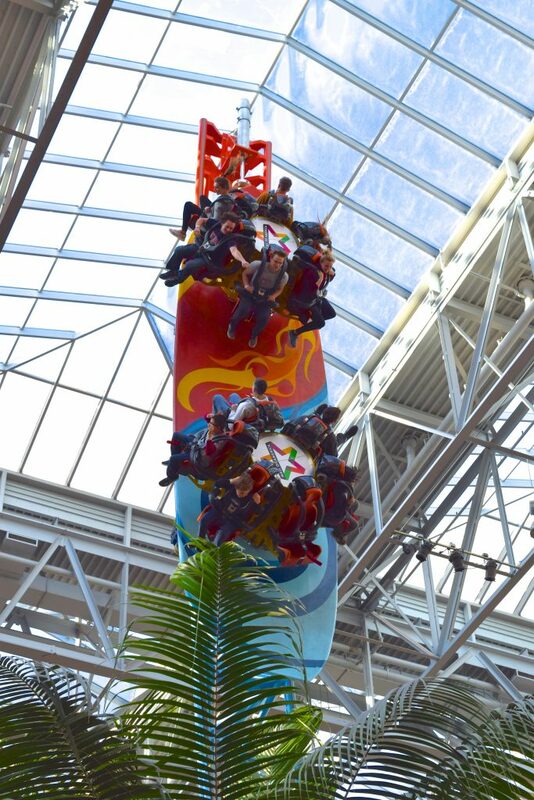 Which is an Intamin Half Pipe coaster that is sunk into the ground and reaches 70 feet into the sky nearing the glass ceiling. I was a tiny bit skeptical of this ride at first, since I didn’t anticipating delivering much of a ride experience, but I was very wrong. 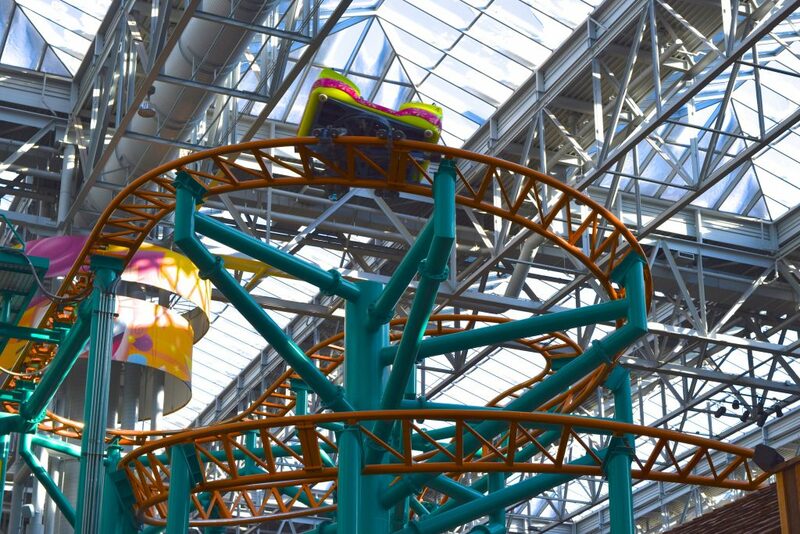 This little half-pipe with spinning seats reaches speeds over 30MPH and is a very fun little ride. While taking an overall look at the park’s mesh of attractions, the positioning of Avatar Airbender really shows how neatly they managed to fit that ride in there. Overall I had a spectacular time at the park. 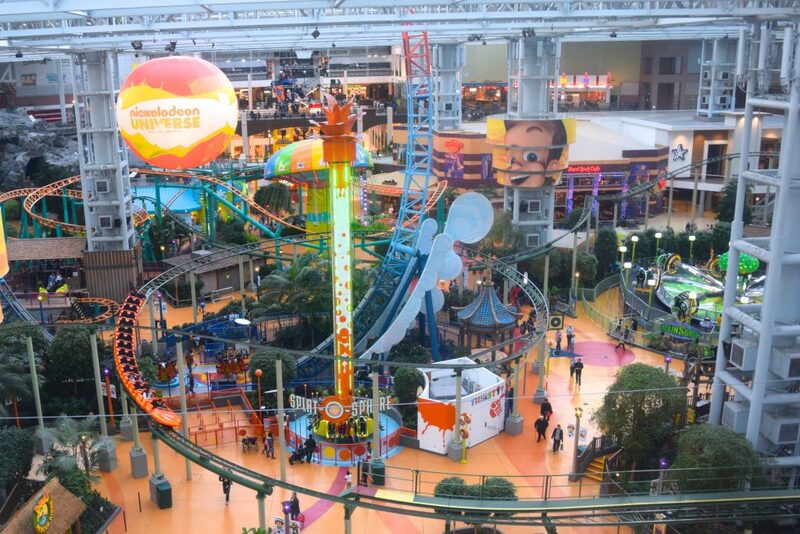 With lunch prior to visiting the park and a quick run around the Mall of America’s stores, we easily killed 9 hours and got on a lot of their unique flat rides. 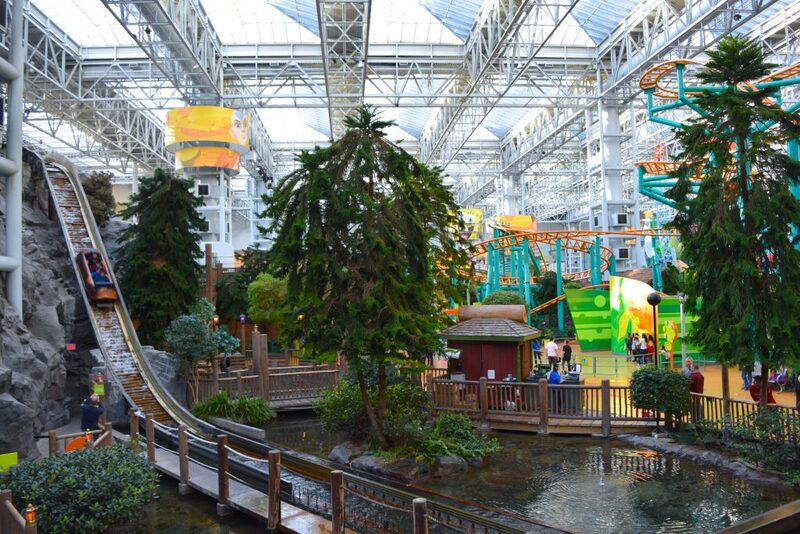 This really is one of America’s most unique parks, and not just because it’s indoor, but because of its solid lineup of attractions and cleanliness. I’ll be back! Previous PostPrevious The California Top 10 of 2017!